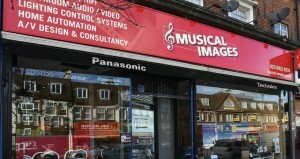 Musical Images has been in business for over 25 years. We are an established retailer with ‘real’ shops and demonstration facilities; offering our customers knowledgeable and informed advice. We have worked hard to develop a reputation for excellent customer service and we endeavour to offer this same level of service to customers of our online store. We do not supply goods on a loan or demonstration basis. If you are not sure about the product you require, we suggest you research it prior to making a purchase. 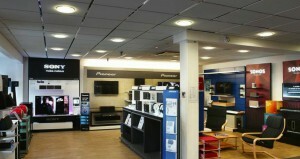 Our in-store advisors all receive training in the products we sell and will be happy to help you. By using this website, you are agreeing to comply with and be bound by these terms and conditions of use, which together with our security and returns policies, govern Musical Images’s relationship with you in relation to this website. 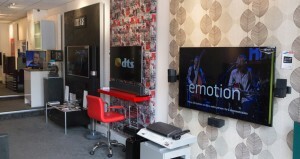 “Audio Visual Lifestyle Ltd” whose business address is 173 Station Road, Edgware, Middlesex HA8 7JX. Our company registration number is 4027575 . The term “you” refers to the user or viewer of this website. To order goods using this website you must be at least 18 years of age and be within the UK. We will treat each order for goods as an offer by you to purchase goods subject to these terms and conditions. Offers and deals posted on our website are available for online purchase only. All prices quoted include VAT. Delivery is extra unless otherwise stated. You will be able to see the full cost, including delivery charges prior to submitting your payment information. All goods are guaranteed to be UK stock, with full UK warranty and service backup. We do not supply “grey” imports. We do our best to ensure all information and pricing on the website is correct, however, we do not provide any warranty or guarantee as to the accuracy, timeliness, performance, completeness or suitability of the information and materials found or offered on this website for any particular purpose. You acknowledge that such information and materials may contain inaccuracies or errors and we expressly exclude liability for any such inaccuracies or errors to the fullest extent permitted by law. When confirmation of your order is received, this is to indicate that we have received your order. It does not indicate that a contract exists between us. We will indicate acceptance of your order, and hence a contract between us, when we send you an invoice. This term is included to protect us in the event that a mistake has been made in pricing, we have inadvertently under-priced goods, or we are no longer able to supply a particular product for some reason. In the case of a change of price, we will always contact you first to ensure that the price is acceptable. We accept Visa, Mastercard, Maestro, Visa Electron, JCB, Bank Transfer and Cheque. We take all reasonable measures to ensure the safety of your personal information (see our security policy for further information). A receipt for your goods and the order tracking number will be sent by email on the day of dispatch. The shipping label on the outside of the packaging will confirm the order was dispatched by Musical Images. We will inform you immediately if we cannot supply the ordered goods from our stock, or if the item is on backorder with our suppliers. You will then have the option to cancel the order or wait for an agreed time. Goods ordered with standard delivery will usually reach most parts of the UK within 2 to 3 working days – and often within 24 hours from order. Our target is “same day dispatch” for orders placed before 3pm, and next-business day for orders placed thereafter. If you live within a five mile radius of our stores, we will consider trying to get goods to you on the day of order, provided our costs of delivery are met. Please call to speak to our advisers if you have an urgent requirement. We do not operate a price match guarantee, but aim to always offer competitive prices on market-leading products, backed by industry-leading levels of service. We will always do our best to ensure our customers receive great products and fair prices. If you have any questions, please call to speak to an in-store advisor. Deliveries can only be made to addresses with active landline telephones. Please note that our couriers will endeavour to make deliveries as arranged at the point of order and we will not be held responsible for any costs incurred because of non-delivery or factors caused by others. Security: To ensure that your credit, debit or charge card is not being used without your consent, we will validate all personal information supplied by you during the order process against appropriate third party databases. Furthermore, our payment system is powered by RBS Worldpay, part of the Royal Bank of Scotland. They have industry-leading fraud prevention measures in place. By accepting these terms and conditions you consent to such checks being made. In performing these checks, personal information provided by you may be disclosed to a registered Credit Reference Agency which may keep a record of that information. You can rest assured that this is done only to confirm your identity, that a credit check is not performed and that your credit rating will be unaffected. All information you provide will be treated securely and strictly in accordance with the Data Protection Act 1998. These terms and conditions may be subject to change without notice.